Evenings are getting cooler, days are getting longer, and before you know it, winter will be here in the Southwest. Although this area is known for having a warmer climate, colder weather is still present during the fall and winter months. Now is a good time to prepare your roof for winter. Here’s an idea of how to do that and extend the life of your roof. 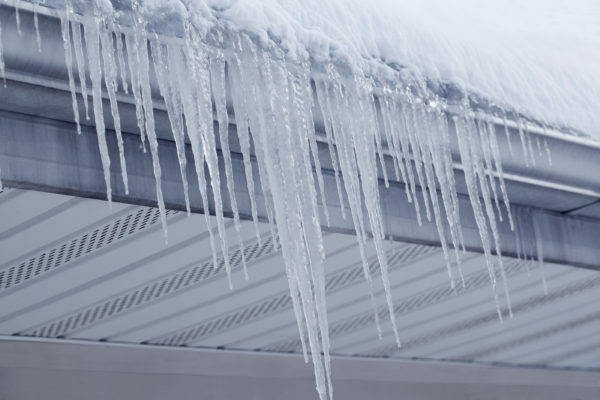 As the colder weather approaches, it is important to identify whether your roof has leaks or not. If you find spots of pooled water on your roof, be sure to get them fixed as soon as you can. Leaky spots on roofs are much easier to handle prior to the weather change and are much less pricey to fix sooner than later. If your home has gutters, it is essential to keep them clean from debris. Leaves are falling with the change of the season and if your gutters become clogged, your roof is susceptible to damage once it rains or snows. When gutters clog, water will overflow to the roof, which will cause costly damage to your roof. Keeping the gutters clean will prevent this situation and keep that money in your pocket! Along with cleaning debris from the inside of your gutters, be sure to check out the roof itself for leaves or other forms of debris. If you have a flat roof, it’s especially important sweep or blow off leaves and debris that hold water. If they aren’t removed, they could potentially cause unwanted water damage to your roof. Over the past year, several large hailstorms have bombarded southwest New Mexico. The softball-sized hail balls damaged many roofs. This caused dents, cracks, and other damage to roofing tiles and surfaces. With colder weather on its way, water and ice can enter into these cracks, expanding them and causing further damage. Now is the time to fix hail damage on your roof before the temperature drops too low. If you’ve found leaks or damage to your roof, or need a professional inspection before winter hits the Southwest, give Atlas Home Repair a call at 575-522-0697 or get in touch here. We are happy to make sure your roof is fully prepared for the colder months to come!